helped shape who I am today. The first was a high school English teacher that inspired me through caring, but demanding encouragement, to always do my best, which gave me a confidence that anything is possible. People often ask me, "When did you know you wanted to be an artist?" Well that leads me to my most powerful memory of school which began in the 1st Grade. From that point I always looked forward to when a teacher would assign art to our homework, report or special project. And I believe that when we love to do something it isn't "work", but FUN! 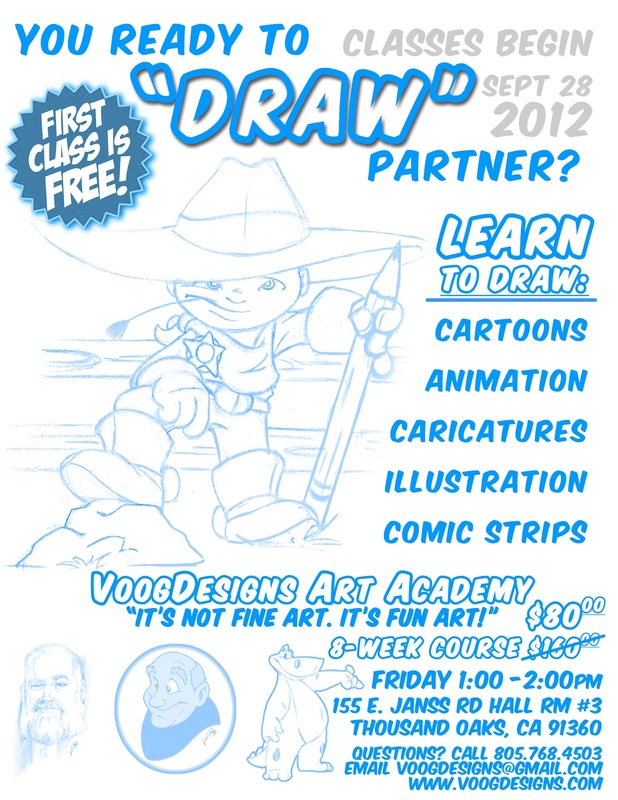 And that is what we're offering at the VoogDesigns Art Academy! First, if it's fun it isn't work. And because it isn't work, students will be in an environment to learn, be inspired, and by always doing their best, will increase their confidence in drawing. Is VoogDesigns qualified to teach your child? 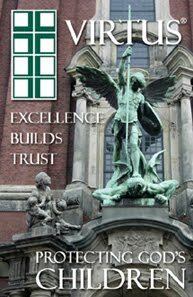 CLICK HERE to view our portfolio and to learn more our VIRTUS Certification. Children and adolescents will be taught a range of skills to develop confidence for the beginner, and graduating to a more advanced curriculum as their skills progress. 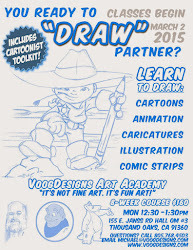 Courses range from cartoons, character design, animation and classical drawing like the Renaissance Masters! Kids will even be exposed to a little acting and role playing with costumes to stimulate the imagination! On this journey through the VoogDesigns Art Academy, your child will develop greater clarity in their approach to drawing, confidence in their refined motor skills, and the capability to take the next step toward a career in animation, comic strips or illustration.